Baylor is coming off yet another impressive season. They finished 2017–18 with 33 wins and just two losses, earned a two-seed in the NCAA tournament and reached the program’s tenth consecutive Sweet Sixteen. The 2017–18 season was highlighted by junior Kalani Brown impressing both at the rim and on the glass, earning multiple first- and second-team All-American nominations. Brown averaged a double-double with 20.1 points and 10.2 rebounds per game. She also scored 1.35 points per scoring attempt, which ranked 10th in the nation. Fellow frontcourt star Lauren Cox also stepped up for Baylor last season. In her sophomore year, she tallied 15.3 points and 9.7 rebounds per game. Cox also ranked in the top ten percent nationally in every rebounding statistic, including ranking in the top 40 for defensive rebounds collected per game. Brown and Cox are sure to continue to shine in the upcoming season, but the biggest story for the 2018–19 season might be the freshmen. Kim Mulkey added the top class in the country this year, with five five-star recruits, all ranked among the top 30 freshmen. The class is highlighted by two top ten recruits, Aquira DeCosta (3rd) and Queen Egbo (7th). Standing at 6–2 and 6–3 respectively, these recruits add an even better interior advantage for the best rebounding team in the country. Last season, Baylor ranked first in offensive rebounding rate and third in defensive rebounding rate among all Division I teams. DeCosta and Egbo both averaged over 12 rebounds per game in their senior years. Also added in the front court is freshman NaLyssa Smith. The 6–2 forward was ranked as the 13th recruit in the country and is known for her athletic presence in the paint. DeCosta, Egbo and Smith will all help replace graduated senior Dekeiya Cohen, who was skilled on the glass for Baylor, grabbing 12.5 percent of the offensive boards available to her. However, the bigger question lies in who will fill Kristy Wallace’s role. Wallace finished her career at Baylor ranked third in assists (525) and fifth in made three point field goals (158) in program history. Following her senior season at Baylor she was drafted 16th overall in the 2018 WNBA draft and left behind big shoes to fill at the point. Many were looking to rising sophomore Alexis Morris to fill the role. However, after a standout freshman season where she ranked 14th in the nation for three-point percentage and tied Baylor’s record for assists by a freshman, Morris was dismissed from the team in September for a violation of team rules. 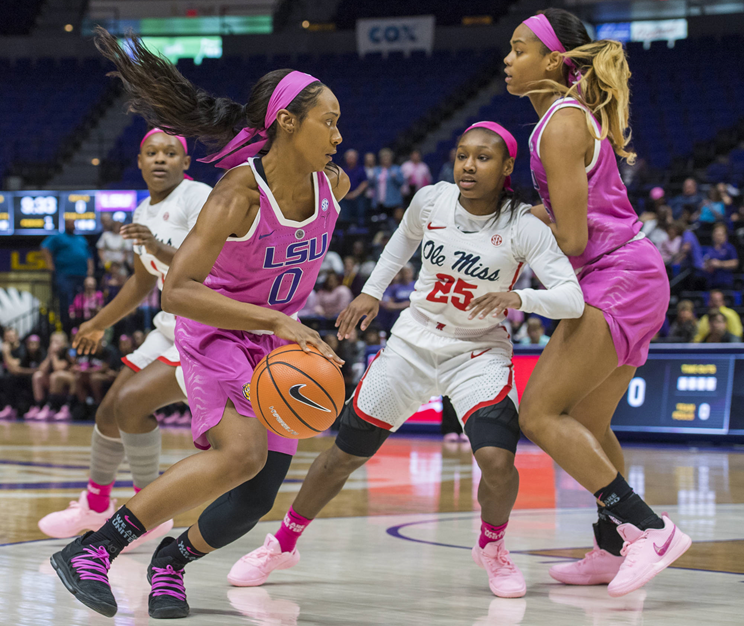 In addition to the elite freshman class, Mulkey also added LSU graduate transfer Chloe Jackson, who may fill that role. Last season, Jackson averaged 18.1 points per game for the Tigers and boasted a turnover rate that ranked in the top nine percent of players nationally. Another option at the point guard position is Honesty Scott-Grayson, the fourth member of the elite freshman class. She is ranked as the third-best incoming point guard in the country but Mulkey noted that she “has got a little bit more on her plate” being a freshman, compared to Jackson who has three years of college experience under her belt. Rounding out the freshman class is Caitlin Bickle. She’s 6–1, and is known as an elite perimeter player and three-point shooter. Bickle could be a great asset from beyond the arc, especially with the loss of Wallace and Morris’ three-point abilities. These new faces have many early non-conference tests ahead of them. The Lady Bears face Arizona State, South Carolina, Stanford and UConn all before beginning their quest to defend their Big 12 title. Luckily, they have the guidance of returning starters Kalani Brown and Lauren Cox to guide them. It may take some time, and patience as Mulkey noted, but expect this incoming class to help carry Baylor to another impressive season. If you like this content, please support our work at Her Hoop Stats by subscribing for just $20 a year. All stats are compiled from the Baylor women’s basketball website, ESPN recruiting rankings and Her Hoop Stats. Thanks to Daniel Logan, Jenn Hatfield, Marissa Sisk, and Cindy Smith.